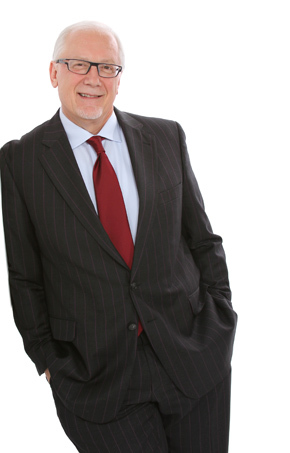 I’m Lorne Rubis, Chief People Officer at ATB. Step into any branch and you’ll see that the people are what ATB is really about. The same can be said for ATB people in every division and function. Our associates are our strongest connection to the communities and people we serve. The joy of my role is that I get to ensure, through the Human Resources team, that the amazing people who make up this organization have what they need to succeed and to help our customers succeed too. I’ve had a diverse career that includes serving as vice president and company officer at US West, improving operations as VP of Operations for the LA Kings Hockey Club, and leading the transformation of a public company from a business-to-consumer to business-business enterprise. For the past eight years I served as CEO of a privately held, international technology company. In every case, my role has been to successfully lead teams and organizations through change, and that’s what I’m doing at ATB as we focus on becoming even better for Albertans. What I’m most passionate about is character, and how each one us can work at building our character, making a greater impact and inspiring others. I’ve developed a playbook for doing just that called The Character Triangle. It emphasizes three distinct but interdependent values that we can each apply in our daily thoughts and actions: accountability, respect and abundance. These values fit right into ATB’s leadership attributes. That’s why ATB is a great fit for me; it’s an organization based on values and committed to continual improvement, and it’s exciting for me to be part of that.